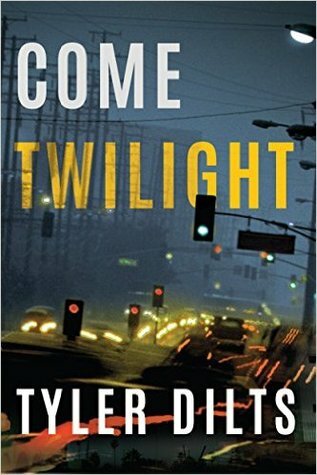 From Goodreads.com: For the first time in years, things are going well for Long Beach homicide detective Danny Beckett. He’s closing cases with his partner, Jennifer Tanaka, and keeping a spare suit at the condo of his girlfriend, Julia Rice. But Danny’s peace is shattered when he’s called to investigate an apparent suicide—one that quickly reveals itself to be murder. Just as Danny begins to investigate, a bomb detonates in his car while it’s parked in a mechanic’s lot, sidelining him from both the murder case and the hunt for his own assassin. Placed in protective custody at the home of his partner, the headstrong investigator must resist the temptation to break protocol—and find the willpower to stop his own self-destructive behavior before it threatens his two most important relationships. But what happens when Danny must choose between following the rules and saving a life? On the plus side - although this story is number four in an on-going series, I had no trouble following along. This book is what I would call a "Stand alone" in that it had a beginning, a middle and an ending that was all its own. There wasn't much from the other books mentioned (that I could see - meaning there was nothing that stood out as something I had missed from a prior story). It was also a fairly quick read (even considering it wasn't something that kept me gripped to the pages), and the writing was decent. Aside from that - the story itself is a solid middle of the road story. I felt that there was no real suspense even though there was plenty of opportunity for it. It also seemed very slow moving, and not something that actively tried to engage me as a reader.